Sole Power: Charge your Phone by Walking! | OhGizmo! The Vessyl Smartcup Tells You How Many Calories are in Your Drink! Sole Power: Charge your Phone by Walking! By Shudeep Chandrasekhar on 06/16/14 • Leave a comment! Everyone’s heard of green energy sources – solar power, water power and the like; but have you heard of footstep power? 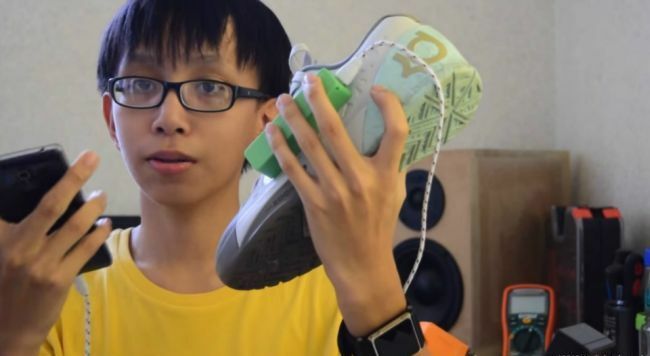 This new gadget is the brainchild of a 15-year old boy from the Philippines – Angelo Casimiro. 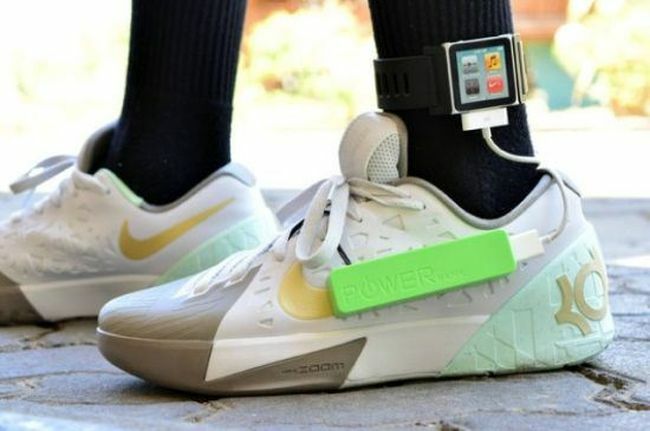 Unveiled at the Google Science Fair 2014, this piezoelectric device uses the pressure generated in the sole of the shoe while walking, to charge your electronic device. 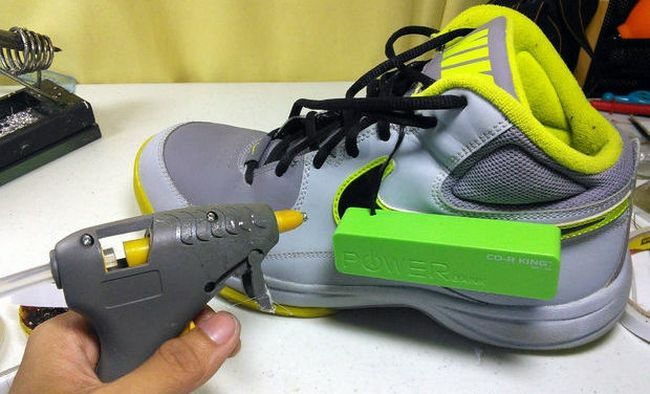 A clever idea, no doubt, but quite similar to inventor Rajesh Adhikari’s idea of a ‘shoe charger’ revealed a few months ago. Unfortunately, you can only get about 10 minutes of battery power after a two-hour game of basketball, but it’s definitely a promising technology for the future. Getting the gadget into production might be quite a challenge, so you may not be able to buy one just yet – but at least you’ll know you saw it first on OhGizmo! ← The Vessyl Smartcup Tells You How Many Calories are in Your Drink!